 MSU Center for Entrepreneurship & Outreach’s Startup Mentoring program connects student entrepreneurs to executives familiar with unique challenges of a startup. Our goal is to facilitate a relationship where young entrepreneurs learn to make better business decisions by gaining feedback, perspective, and drawing from a mentor’s judgment and experience. One of our most important roles is to identify potential connections and make introductions, particularly for students who lack a deep Rolodex across a broad landscape. More than 100 startups at MSU have a CEO under the age of 22. Core mentors provide entrepreneurs regular accountability and light guidance. An easy first step to mentoring teams, core mentors subscribe to every other week email updates from teams and provide brief electronic comments. Advisers hold office hours to meet with multiple teams. Meeting monthly with a variety of teams for 30-minute periods, Advisers get to help with a wide range of problems and teams. Coaches work one-on-one with a single paired startup team, as a dedicated mentor. As our most important partners, Coaches help entrepreneurs with major strategic decisions and shepherd them through raising capital. The primary role of a mentor is to provide feedback, perspective, new ideas, and judgment. Successful mentors teach their mentees problem-solving approaches rather than merely give them the answer. Am I a consultant for the company? Mentoring is not the same as consulting. Your goal is to guide the founding team in how to make strong decisions by sharing your experience, wisdom, and political savvy, not simply tell the team what to do. How soon will I be paired with a team? We will begin working to match you with a team immediately; however, we try to pair mentors with specific industry experience. It may be a little while until we find an appropriate match, but we will keep you informed of the process. What if the team and I have a conflict? Sometimes things won’t work out, and if that happens, we hope you’ll inform us quickly to resolve. Either the team or the mentor can end the mentorship relationship and can be reassigned. How are mentoring sessions scheduled? For our Advisers, sessions are scheduled by the E-Center in advanced time blocks. Coaches work one-on-one with their respective teams to determine when and how they will meet, and for how long. Both parties should try to stick to the defined time commitment guidelines. Mentorship connections happen organically every day. As such, this program is not meant to install unnecessary structure, but rather provide a loose framework to assist both students and executives who may be unfamiliar with nuances of a mentor/mentee relationship.